Do check out this cute little book from Chronicle Books. 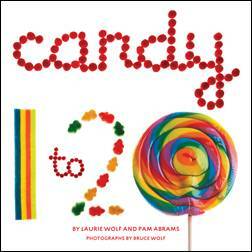 Colorful candy pieces are turned into a sweet numerical display. Count from one to twenty in the most delightful way.